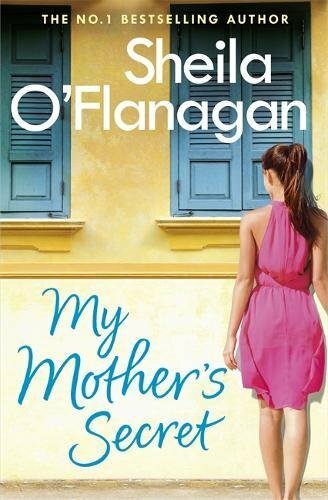 I’ve a copy of Sheila O’Flanagan’s book, ‘My Mother’s Secret’ to give away to one lucky person. I recently read this book and really enjoyed the warm hearted story of family secrets and sibling rivalry and you can read my thoughts on the book here. To be in with a chance of winning this lovely story, simply answer the following question by leaving your answer in the comment box below. How long has has Steffie’s parents been married? Closing date is Monday 12th February 2018. Good luck! 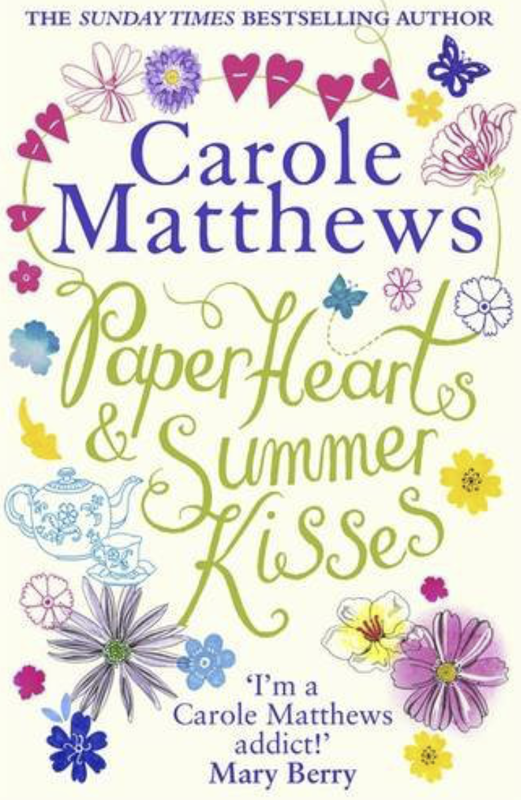 Today on the book tour for Carole Matthews’ new book ‘Paper Hearts And Summer Kisses’, I’ve two copies of this wonderful book to give away to a lucky pair of people. Christie Chapman is a single working mother who spends her days commuting to her secretarial job in London and looking after her teenage son, Finn. It can be tough just getting through the day but Christie has always found comfort in her love of crafting and any spare time she has is spent in her parents’ summerhouse working on her beautiful creations. From intricately designed birthday cards to personalised gifts, Christie’s flair for the handmade knows no bounds and it’s not long before opportunity comes knocking. All of a sudden Christie sees a different future for her and Finn – one full of hope and possibility, and if the handsome Max Alexander is to be believed, one full of love too. It’s all there for the taking. And then, all of sudden, Christie’s world is turned upside down. Christie knows that something has to give, but what will she choose? Will she give up her dreams and the chance of real love? What price will she pay for doing the right thing? To be in with a chance of winning a copy of this fabulous book, simply answer the following question. What is the name of Christie’s teenage son? Leave your answer in the comment box below by Monday 24th April 2017. Good luck! Want to know my thoughts on ‘Paper Hearts And Summer Kisses’ Click here. 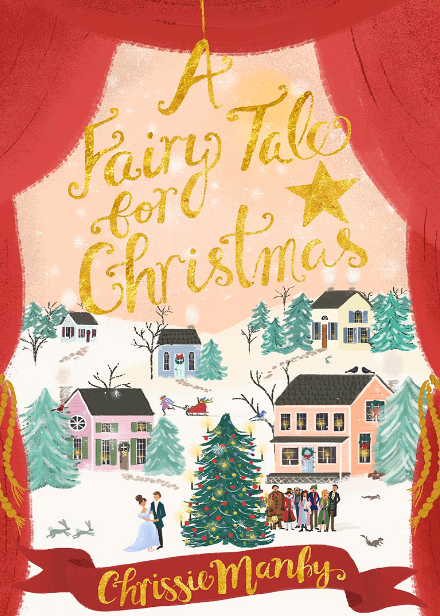 I’ve received a second copy of Chrissie Manby’s new book called ‘A Fairy Tale For Christmas’ and I would like to share the festive cheer and give the book away to one lucky person. I recently read and reviewed this book and it’s a lovely heartwarming story. It’s the festive season and the members of the Newbay Theatre Society, more commonly known as the NEWTS, are preparing to put on a show. Being cast as Cinderella is the realization of a dream for newcomer Kirsty, not least because she hopes starring in a panto under the direction of her boyfriend Jon will bring them closer together.But Kirsty soon learns that it’s not all glitter and good cheer behind the scenes at the amateur theatre as bitter rivalries nurtured through decades, wardrobe mishaps and suspicious near-fatal accidents threaten to derail the production. And then there’s Prince Charming himself. Will working together with Jon bring Kirsty her happy ever after… or reveal their love to be nothing but a ‘showmance’? To be in with a chance of winning this book, simply answer the following question by leaving your answer in the comment box below. What is the name of Newbay Theatre Society? The winner will be revealed on Monday 14th November. Good luck. Lindsey Kelk is back with a new book called ‘We Were On A Break’. There’s nothing worse than the last day of holiday. Oh wait, there is. When what should have been a proposal turns into a break, Liv and Adam find themselves on opposite sides of the life they had mapped out. Friends and family all think they’re crazy; Liv throws herself into work – animals are so much simpler than humans – and Adam tries to get himself out of the hole he’s dug. But as the short break becomes a chasm, can they find a way back to each other? More importantly, do they want to? Lindsey is back with another book that is guaranteed to make your smile and forget about the troubles of life. in her latest book, we are introduced to young couple Adam and Liv who are just finishing off their holiday in Mexico, it’s on this holiday that Liv is convinced that Adam is going to propose to her especially since her best friend Cassie told her it was going to happen. But instead of the pair of them coming back to England as an engaged couple, there is a bit of mix up and they come back on a break. The story then follows the lives of the couple as they adapt to being no longer part of couple and both wonder how it all went wrong even though they are both in love with each other. 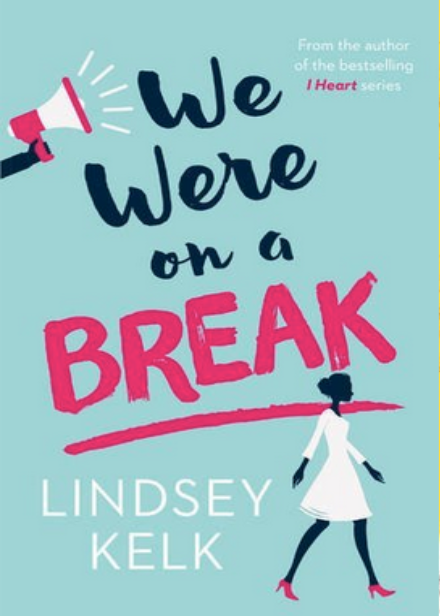 ‘We Were On A Break’ is another fine example of Lindsey’s witty and fun writing, again she has created a story that has engaging and relatable characters that makes for genuine entertaining reading. Chapters alternate between Adam and Liv and this give an interesting insight into how differently men and women think when it comes to relationships. As the couple deal with the sudden upheaval in their lives, both Adam and Liv have the time to reflect on their future and decide what their goals are and around them they have a strong network of friends and family and all these characters add an element of humour to the tale. With a fabulously bright and vibrant cover, the plot line of the story is not quite the traditional romantic tale which the reader might expect but it is quite a tender story in parts, so it does keep the reader on their toes. Filled with delicious characters, funny and realistic situations plus a cat by the name of Daniel Craig this book is a fresh and romantic comedy which highlights the pressures of relationships and society written in a fresh and frank manner. 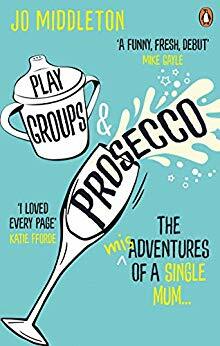 For fans of Lindsey’s previous book series, ‘I Heart’ and ‘Girl’, this standalone story is a sparkling witty and fun tale from page one, ’We Were On A Break’ is another brilliant fast paced story from Lindsey Kelk. You can buy We Were On a Break from Amazon and is available to buy from good bookshops. The lovely people at Harper Collins have given me two copies of ‘We Were On A Break’ to giveaway to two lucky people. To be in with a chance of winning a copy. Simply answer the following question and leave your answer in the comment box below. What is the name of the cat in ‘We Were On A Break’? The lucky winners will be revealed on Monday 17th October. Good luck!